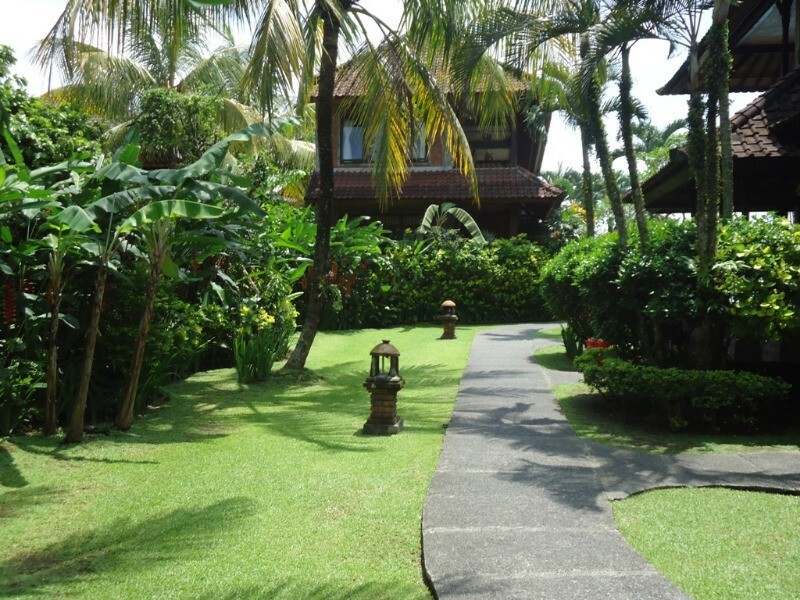 Strategically located right next to Monkey Forest, this hotel offers air conditioned rooms and luxurious bungalows. 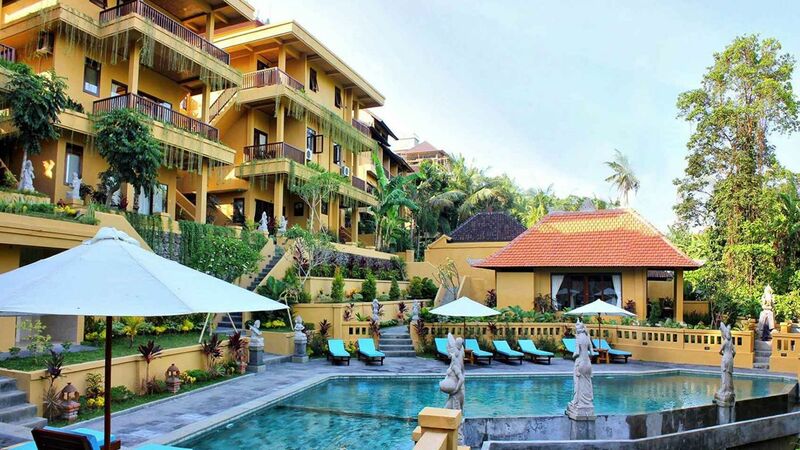 Boasting peaceful and serene atmosphere, it is a perfect paradise to spend your holiday. The 2 immaculately maintained swimming pools and the excellent food certainly enhance your holiday experience. 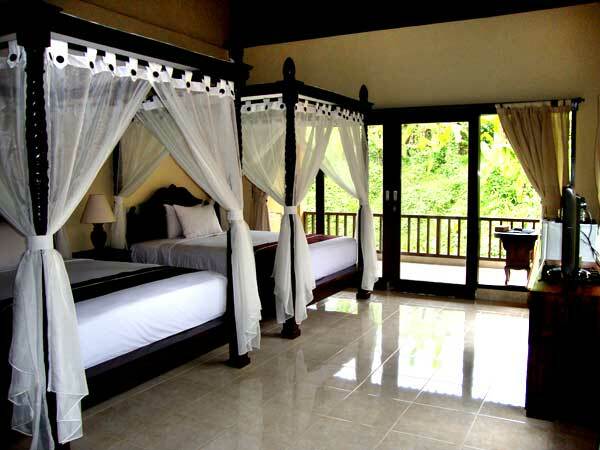 Sri Bungalows Ubud is a 3-star hotel that is nestled in the heart of Monkey Forest in Bali, Indonesia. 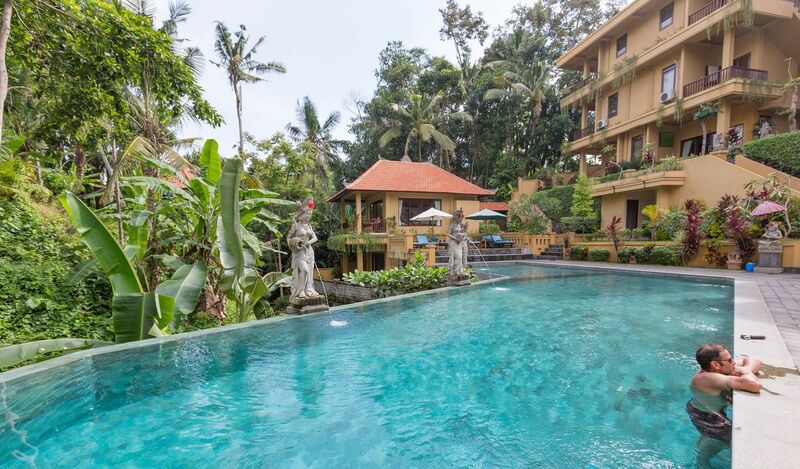 It is also situated at a distance of short walk from the Monkey Forest and Ubud Market. 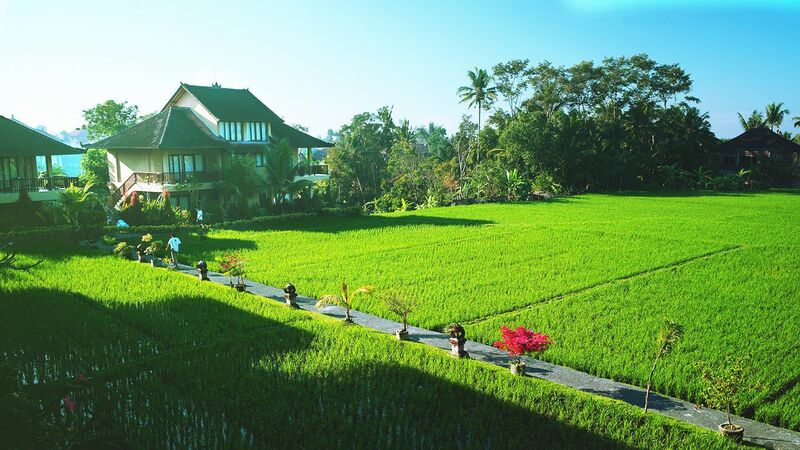 Ideal for couples and leisure travelers, the economical hotel is surrounded by rice paddies and tropical gardens. Thatched roofs, ceramic tiles, and the bamboo and wooden furniture at the hotel offer a glimpse of the traditional Balinese architecture. The property boasts of the great landscape from private balconies attached to the spacious rooms. Guests can unwind themselves and relax at the spa and wellness centre. Yoga sessions are also organised at the hotel for guests to relax and give a fresh start to the day. With a restaurant at Sri Bungalows Ubud, guests can soothe their taste buds. 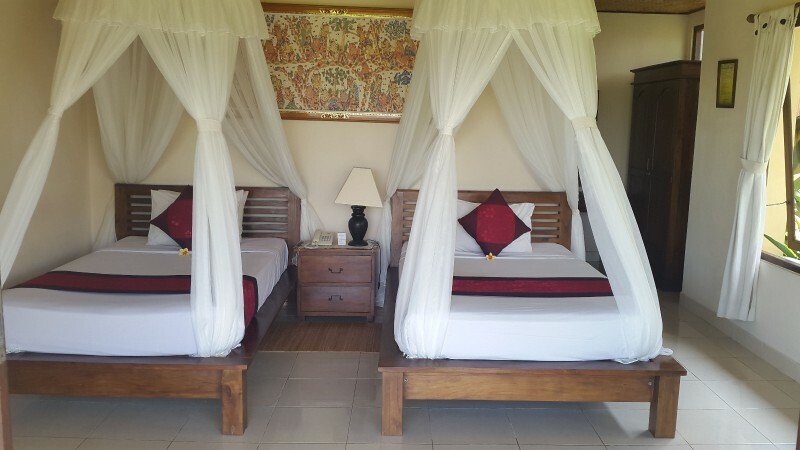 Further, the 3-star property is located at a distance of 40 km from Ngurah Rai International Airport. Experience the bliss of staying at a luxury property. Feel the magical allure of Indian Ocean. Get inspired by the rustic natural beauty surrounding the hotel. Relieve tensions with rejuvenating spa treatments. Enjoy a range of dishes at the hotels restaurant. 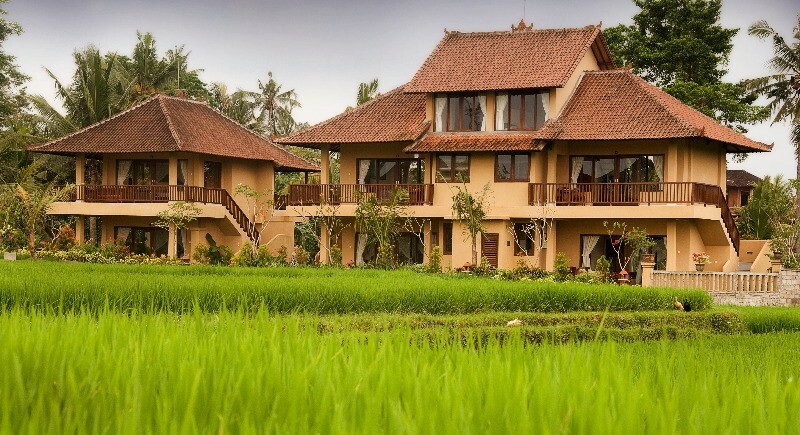 Get to know a more about the Balinese culture at Sri Bungalows Ubud. The fashionable outlook and unique architecture of Sri Bungalows Ubud have never failed to appeal to the senses of the travelers. The rooms of the hotel have been artistically designed to meet the need of contemporary travelers and are categorized as standard double, standard twin room, super deluxe double room, deluxe double room, one-bedroom suite, deluxe twin room and family room. 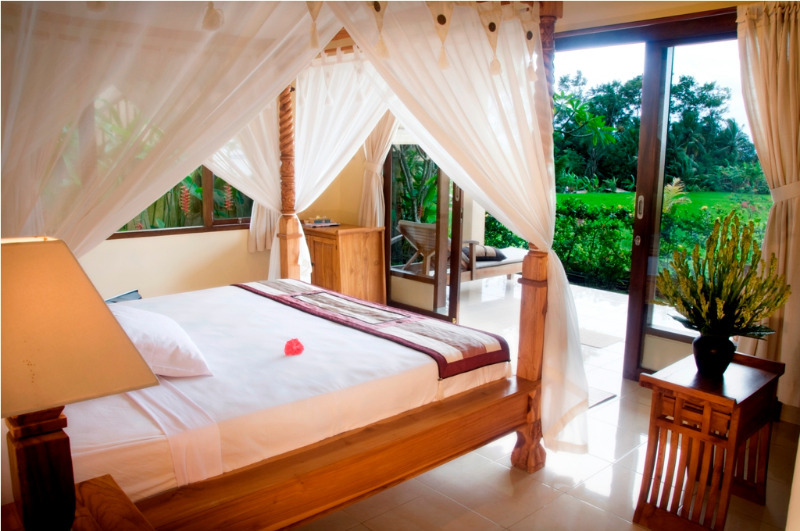 All the rooms at the hotel are spacious and beautifully designed with a Balinese touch. Some of the rooms also feature private balconies. 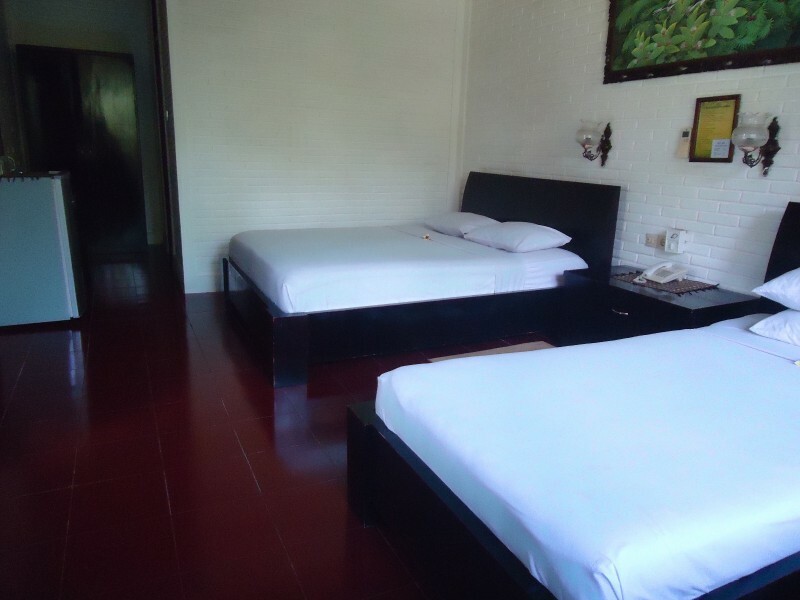 Besides, the rooms have all the modern amenities. The hotel rooms have attached bathrooms with bathtubs. Further, the hotel offers 24-hour on-call butler and room services. 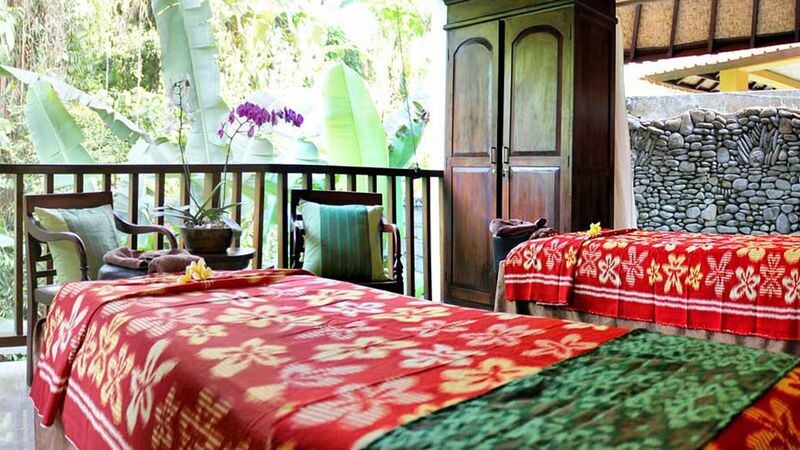 Apart from providing luxurious facilities, Sri Bungalows Ubud offers a host of world-class services for the convenience of guests of all age groups. With a well-equipped fitness centre, luxurious spa and yoga centre, the hotel aims to transport its guests to a zone of utmost relaxation. It also offers services like a 24-hour reception, tour desk, concierge, shuttle and baggage storage. Additionally, it maintains an ATM/cash vending machine within the hotel premises. 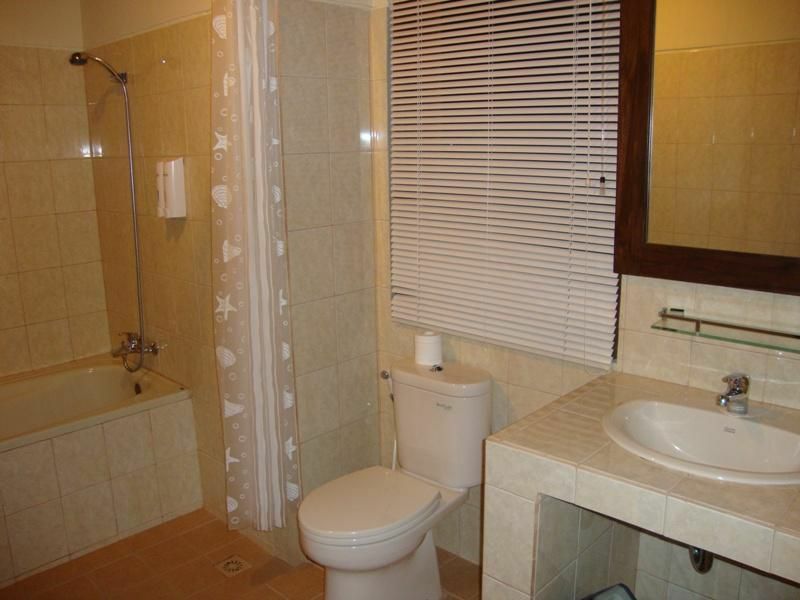 Notably, Internet access is available throughout the property that too free of cost. 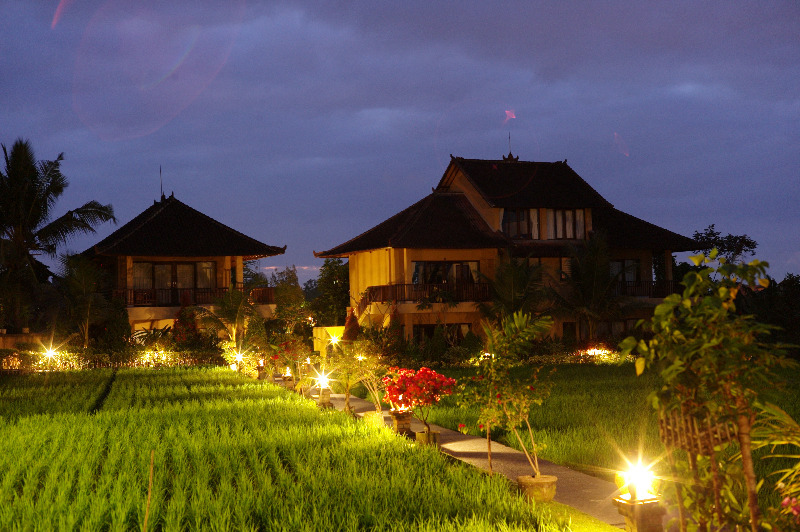 Sri Bungalows Ubud features an exceptional restaurant that elevates the experience of dining. The hotel maintains only one restaurant namely Sri Bunga restaurant. The restaurant specialises in authentic Indonesian cuisine and local beverages. la carte option is available at the restaurant. Guests who love to gorge on seafood should try it at the restaurant once. Guest can also try the food at other nearby restaurants as the place is popular for good dining options. 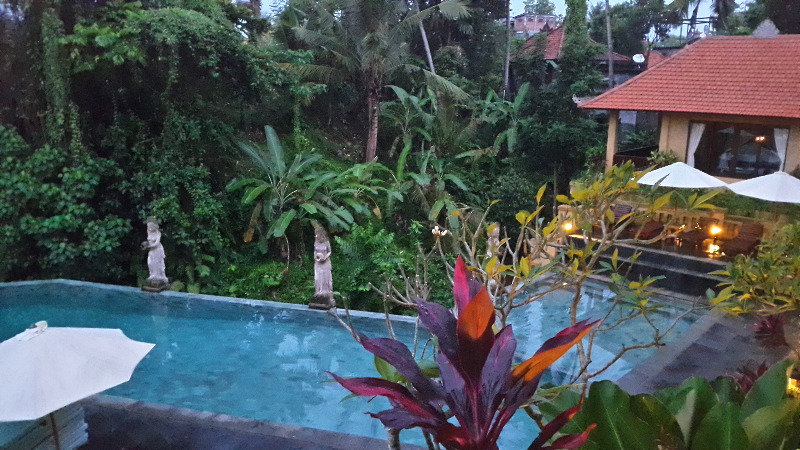 Sri Bungalows Ubud is located at a distance of around 40 km from Ngurah Rai International Airport. Is airport shuttle service available at the hotel? 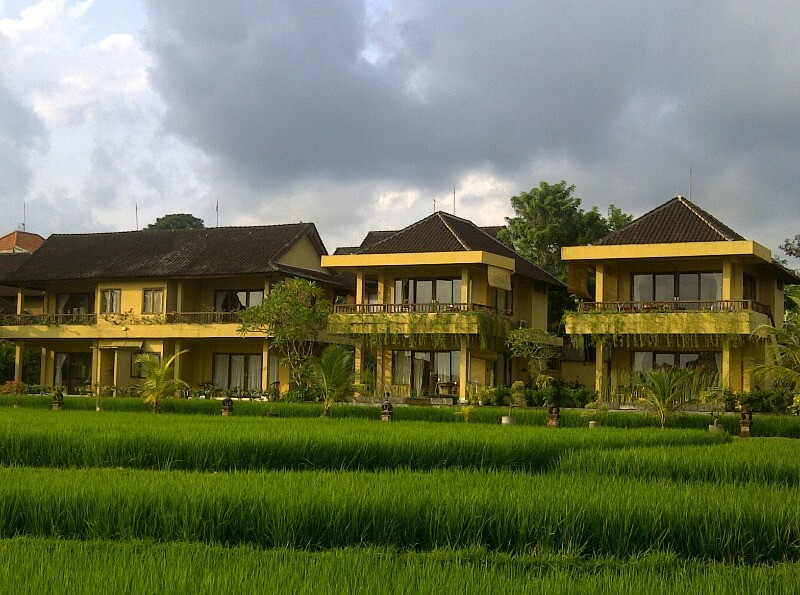 Yes, Sri Bungalows Ubud provides airport shuttle services to its guests. However, it is available at an additional charge. Relax at the spa and wellness centre available at the hotel. One can join yoga sessions for a good start of the day. Take a stroll around the hotel and gift oneself the pleasure of being with nature. Does the hotel provide free breakfast to the guests? Yes, the room tariff is inclusive of the breakfast for all guests at Sri Bungalows Ubud. Can guests take advantage of special discounts offered by the hotel? Yes, there are several offers that guests can avail while booking accommodation at the property. 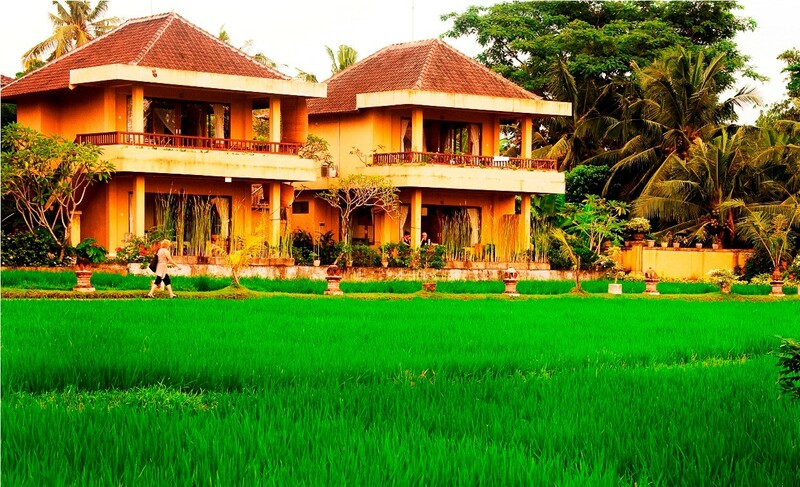 Most travelers tend to choose Sri Bungalows Ubud as they are attracted by the places mesmerising natural beauty. The property has everything that a nature lover would desire on a vacation from the green rice fields to the never-ending tropical forests. 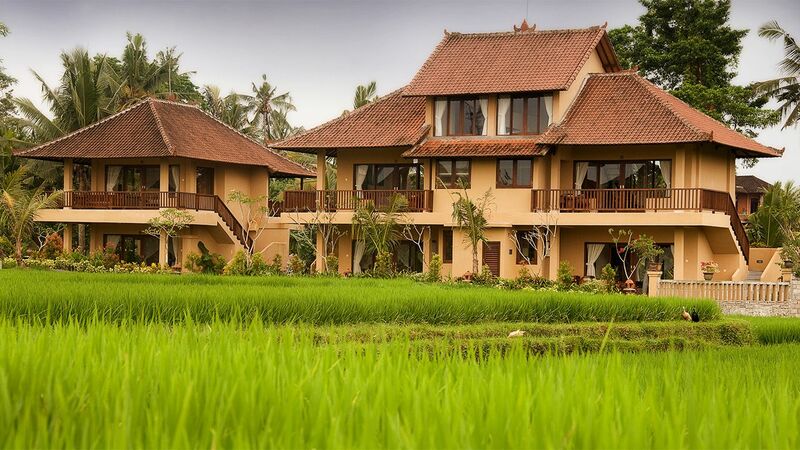 Being situated in the heart of Ubud, Sri Bungalows Ubud is one of the best hotels to opt for if one is sure to make the vacation an unforgettable one. Ubuds natural scenery and the hotels classic architecture make it one of the most suitable hotels for discerning travelers. 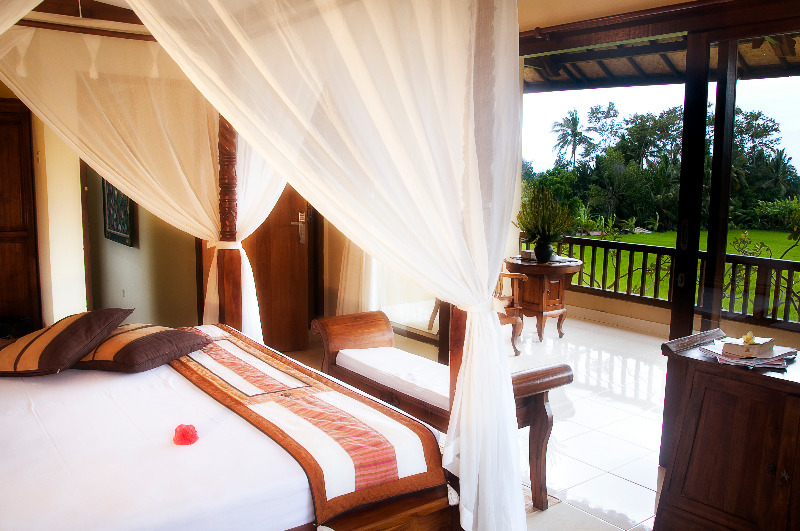 Sri Bungalows Ubud features modern day amenities that the guests might desire in a hotel room. As the property boasts of its great landscape views, click awesome pictures here at the hotel and make memories which will last forever. 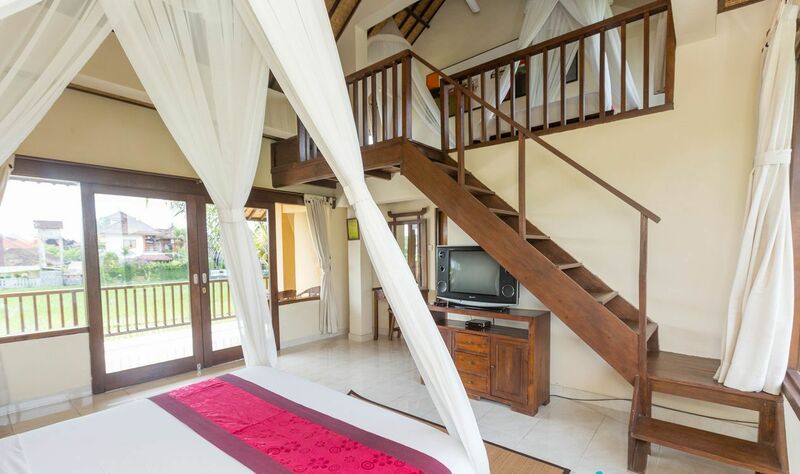 If one is looking forward to a stay where solace and beauty of nature combine to lend a holistic experience, then there is no better place than Sri Bungalows Ubud.